The truth is, the only day we really have to change is today…by living in the moment. Are you making the MOSTout of the 365 “today’s”? The scary thought of not knowing when your last day will be should motivate the crap out you! If we are putting off today, what actually can be done, we are only limiting our own progression. But most folks are rushing through the 5 days, just to “live” for 2 days…kind of pathetic when you think about it. We have to squeeze the LIFE out of everyday. When you are living a meaningful life, it doesn’t matter what day it is, you are going to make a POSITIVE IMPACT to the world around you TODAY! Waiting for the weekend to “live it up” is probably a maturity thing, but I sadly know grown adults who admittedly do this. To me…this just indicates the person isn’t living a PURPOSEFUL LIFE. Make everyday a PARTY and most importantly, make TODAY COUNT! 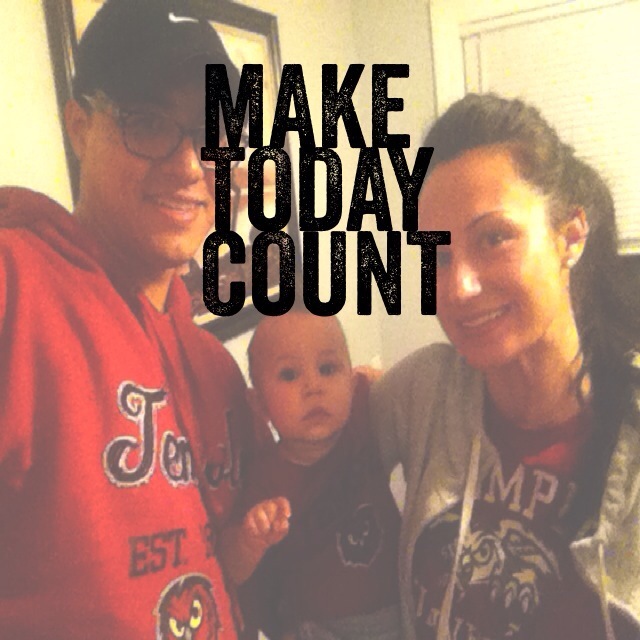 Let me know what you think about MAKING TODAY COUNT in the comment section!